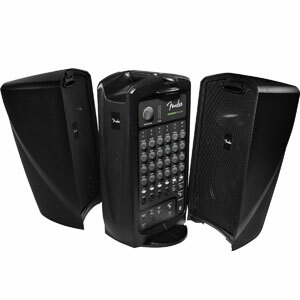 Does The Fender Passport Venue PA System Have The Portability And Sound Quality Desired? 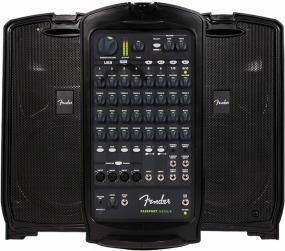 Fender is a name that screams quality for a lot of consumers and this means that there are high hopes for the capabilities of the Fender Passport Venue PA System. This model is advertised as a “self-contained portable audio system” one that is said to include everything that buyers require for the best sound “anywhere you go”, so it should be appreciated by buyers no matter their profession or need. A convenient and portable design. Does this Fender model tick all of these boxes or is there still room for improvement? 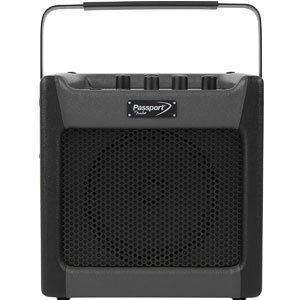 Are buyers seeing benefits in all four of these areas and what specific features make this Fender Passport Portable PA Unit stand out? Starting with the power and the ability to project high quality sound across a large audience, the promise here is that this Fender Passport PA System can be used for large and medium audiences with its 600w output, powerful subwoofer and generally high-quality sound. Buyers seem to agree with this assessment and their reviews talk about clear sound with no interference or buzzing on higher volumes. Also, this clean sound and clarity continues with using the microphone. The only drawback here is that some say the bass is a little lacking, which could be an issue in some scenarios such as music venues and DJ settings. A great PA sound system also needs to have great inputs and options and there are many available here to please users no matter what they are using the system for or what they want to amplify. There is the 10 channel mixer for different inputs and purposes, a USB flash drive for digital files, a 1/8” stereo input for mobile devices and also Bluetooth pairing that is said to work pretty well. The promise is that this system can be used for everything from educational purposes, sporting events, worshiping with a congregation, general meetings and seminars, presentations to large groups , DJ events and gigs” and it certainly seems to be being appreciated by speakers and musicians alike for its numerous qualities. Where are the disadvantages with this Fender Passport Venue PA Sound System that could lower its overall appeal for consumers? There are some areas where users feel that improvements could still be made. One of the other important design areas for a system like this is the portability because it needs to be carried around with ease and this is another big talking point in testimonials. Users are invited to “carry your Passport as you would a suitcase” with the additional benefit of being able to “flip open” the latches but while this aspect is advantageous, there is the a slight problem in the 42lb weight and the short length of the speaker cables. In some cases the criticisms are a little picky perhaps but the expectations mean that this is justified – buyers are looking for perfection and most would still say that they have come very close. Summary: if users only have small criticisms to make of this Fender Passport PA, does that mean it is still highly recommendable? Of the four categories mentioned at the start of this review – power, output, inputs and portability – it seems that this product is able to meet all of them pretty well and can please the wide range of users that have come to depend on it. This does not mean that improvements cannot be made, however, and a few tweaks to the sound and design would be appreciated. The versatility of this set-up has to be the main advantage for consumers because it seems that it really can be used in a wide variety of settings and on different audiences thanks to all those different outputs and the great sound quality. What makes this system so recommendable is that Fender have put a lot of consideration into the abilities and performance of this model with great results on almost every single element, which means that the Fender PA system is a highly desirable purchase. 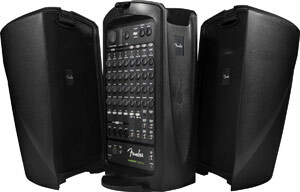 Find more reviews about the Fender Passport Venue Portable PA System on Amazon here.